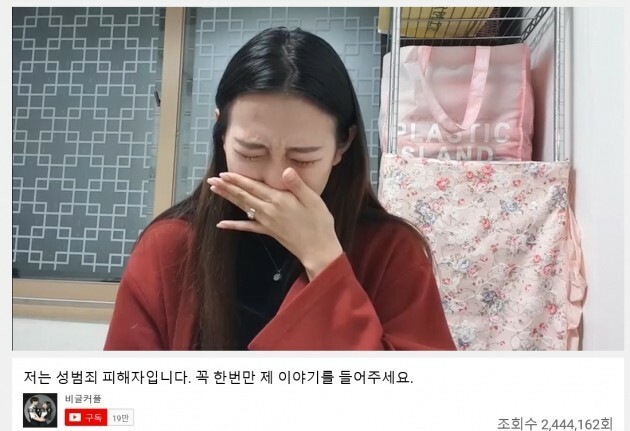 Yang uploaded a clip on her YouTube Channel “Beagle Couple” on Wednesday, talking about what happened to her in 2015, when she applied to work as a part-time model for an online shopping mall. After going through an interview with a man calling himself “the chief,” at a studio in Hapjeong, western Seoul, she returned to the space for a photo shoot. But as she stepped in, the man locked the door, she said.